"A very complete vpn with lots of servers"
What I would highlight most about this VPN is that it has a large number of servers and IPS throughout the world. In addition to the wide variety of IPS, it is also quite simple to connect, it is fast and efficient and uses the OpenVPN security protocol, which gives it an extra layer of security. Sometimes disconnections are suffered and it is a bit annoying, but luckily it has an option that allows it to automatically reconnect to another server, which makes this problem less serious. I recommend that anyone who wants to surf the Internet and access different resources with more security, use a VPN. Ipvanish is a great option, as it has good security and speed. A VPN, as in this case Ipvanish, generates security. It has allowed me to have that extra security provided by a virtual private network with 256 encryption and OpenVpn protocol. It has generated that can navigate with more security and access to different sites with much more tranquility. IP vanish is a wonderful VPN service provider, I am using IP Vanish for my office work to connect different servers, It's user interface is awesome and it is easy to use. We connect different geographical locations with just a single click. And it provides different IP's on every connection. IP Vanish is a very good tool for me, sometimes while working it gets disconnected which is due to slow internet connection. But I am still happy with this VPN service provider. I am using IP vanish for SEO and another purpose. It is a very useful tool for me and I didn't face any difficulties with this tool. I recommend every user to try this VPN once due to its easy to use interface and fast VPN service. For SEO and digital media marketing I need to connect to different IP's so I am using this VPN service tool to solve my work problems in my office. 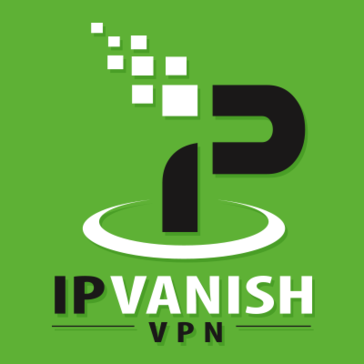 "IPVanish: A Reliable, Affordable and Easy-to-Use VPN"
IPVanish is an excellent software that allows us to hide our IP when using the internet at the workplace. Hackers always try to steal data from our online sites. However, with the aid of this tool, we are able to mask or hide our online operations. This boosts the security of our data. Another reason why I like IPVanish is that you can log in from multiple locations and at different time zones. I do not have much to complain about this tool because it is amazing. However, the customer support should respond to the clients' queries instantly to avoid irritating delays. You should choose this tool to protect your online activities against hackers. This software will hide your online activities and keep all hackers at bay. It is affordable, fast and easy to use. 1. Hiding the company's IP address. 4. Enables us to log in to our website from multiple locations in the world. I like IPVanish because it is a reliable software that hides my privacy when I am online. The tool has good features that are easy to use. You can use it to log in to your online sites from many locations in the world. When using it, hackers can rarely track or monitor your online transactions. The tool is fast and recommendable. It is the best for hiding your IP. I would recommend this VPN software to other users because it is highly affordable and easy to use. It will mask your systems and keep cybercriminals away from your sites. It is the right choice, especially for business owners. This tool enables us to perform our online business activities privately and securing without the risk of losing our sensitive data to hackers. Also, it protects our systems from malware. It also improves our speed when we are using the internet. "Fast and Reliable Tool to Hide Your IP"
I like this tool because it is fast and reliable. It also enables me to choose services based on country, state, capacity and time. It not only masks my IP but also my location. With this software, you can hardly know where I am located. It is the best VPN i have ever used. 2. If you do not know how to navigate through the software, you will encounter difficulties when using it. This is the best VPN that you need to consider for your business and personal use. It is fast, affordable and reliable. The support team is amazing. You can log in from any country at anytime you want. Hackers will not detect you when you are online. 1. It provides safety when I am using public wifi in the workplace. 2. I can log in to the company's website securely using this software. 3. When transacting online, we use this software to protect our online banking details. 4. It is fast, hence saving time for our company. IPVanish is a great VPN service. I like it because it can easily mask my location and IP at the same time. Due to its excellent security features, this tool is one of the most reliable services that you can ever use. It does not leak your IP. Therefore, when using this amazing software, cybercriminals can never track my online activities. At times, when the system is down, this software makes my internet slow. The vendor should check on that for efficiency. IPVanish is the right tool that you need to protect your company's website against malware and hackers. The support is reliable and the tool is excellent. It is user-friendly and affordable to all. It protects our company's systems against malware. Additionally, this tool protects our computers when making online transactions. Hackers can hardly steal our online banking details when we are using this tool. "Surf secure with IPVanish VPN"
This software has servers in more than 40 countries. It's very fast and you can connect with just one click. It also has the most advanced security protocols that are IKEv2, OpenVPN and L2TP. Finally, I can say that they have a support team attentive to all your needs. The only thing I do not like is that they do not have many servers in America. If you want to be protected, buy IPVanish. It is not expensive software and has the best security protocols. Normally we receive many computer attacks since we are a bank and IPVanish allows us to carry out our work activities privately and safely. Very easy to use, you can choose the country, state and time. It hides your location and saves you from online hackers. This saves your data from cybercrimes and provides the IP as per chosen location. Works pretty well on high speed internet connection only. If your connection speed is slow you may face issues. Else, it's ultimate. Definitely, you should use this product to secure your data while doing online transactions or other important activities. It's secure your data from malwares as well. Using this data is secured while doing online transaction and secure our data from malwares and hackers. It's feature which hides the location and IP makes our data more secure. "IPVanish Fastest VPN service provider"
I am using IPVanish from last 2-3 years for my office work. IPVanish VPN is easy to connect with just a single click. By using this VPN I can connect to many any country's with just one click. It provides different IP's for different locations and its easy to use because of its simple user interface. IPVanish is simple and easy but while using it gets disconnected due to slow connection. Otherwise this is best tool for me. IPVanish is very helpful for me. I will recommend it to others who need VPN services. We website promotion and optimization we use this tool for changing IP's to see different results in different countries. "Best Software to Hide Your Identity"
It's the best software that one can use to hide its identity while using public network WIFI. Whenever I connect to the public internet I always use Ip Vanish for my security from public theft as IP vanish protects my IP by creating a virtual private network and protects me from getting hacked. It's quite fast and reliable and provides 24*7 customer support facility. Its price is high as compared to other software like Hideme (low monthly cost) and also like Betternet that are available at free of cost. It's the best software that will help you hide your IP address and hence help you with internet security against hackers and fishers. It is fast, secure and easy to use. It's the best till date. While performing online transactions I prefer IP vanish as it saves me from online threats and fishing. Ease of access, quick and more reliable. Provides the platform to choose place and time. It hides both IP and location. One of the best software in its category. There is not much to say but at times it lower downs the speed. There is no free trial. This is affordable software which you can have and easy to use. This will mask your information and lower down the risk of hackers. You can choose your location as per your choice. This enables the user to work perform online activities on private mode and lower down the risk of losing data to hackers. This also provides anti malware feature. "Good Product but a little slow"
The VPN service is safe and reliable and has many IP addresses available, it can be configured to start automatically when Windows starts, which saves a bit of time. The connection is very good and perfectly safe. The fact that you can choose between so many countries and locations gives you total control of the location from which you want to connect. This is really a great application to have in your internet connection. It's a bit slow at times, probably because it uses a very high level of encryption. Also, you can not have two open OpenVPN connections, which is a bit restrictive. Correct the inconveniences that are presented according to the complaints or suggestions of the users. Basically this program allowed me to enter portals that are blocked for our country. "Essential for protecting your privacy"
Easy to log in and use from any internet connected device, and data transmission speeds are very fast. It also has the best and most innovative security protocols. The customer service takes up to three days to answer a message. They should change that. Definitely feel secure when using it. The price is good and the software works. IPVanish allows me to privately browse the internet while I am doing many different things so that I did not have to risk spying. I like how easy to use this vpn is. I also like how many different platforms it is available on. Makes it super easy to be secure and private. I hate how slow it makes your internet at times. I wish it could be faster. I also wish it would not block some services like Netflix, but maybe I am just missing something. See if there is a cheaper option out there because although this does offer a great experience it is at time confusing and can be pricey. I am able to test firewalls and see holes in our security. I am also able to set up a have my own remote in to work system. No issues at the moment. I'm pleased with IPVanish in general. If you're looking for a dependable VPN for business or personal use, IPVanish is a solid option. IPVanish allows me to test connections from various locations. It helps me with web development and testing. "One of the best VPN’S out there"
I love the security that this vpn offers. Like most vpn’s it does give different payment options whether you’re wanting to pay monthly or yearly. This one does offer more severe than other vpn’s. I use this on my phone, laptop and anything else that I may have my private financial information connected to. At this time I have no complaints with this software. It is helping us to keep client records and company financial information secure. When buying a plan for a year we save almost $50. By using IPVANISH I can hide my information from the provider and malware. Before buying I recommend to use 7-day trial plan. I use VPN to protect against malware and to securely exchange traffic with the server in the office. There are so many good features here and it has everything I needed for privacy. It was a little too much a month for me and there was no Lifetime option. Please make it cheaper or bring out a lifetime payment option where I only have to pay one time! I am able to keep my work safe from prowlers. "Connection was fine, customer service subpar"
An application was available on the firestick. Sometimes server connection was slow and had a disappointing customer service experience. I used this service to test IP location for form customizations. * We monitor all IPVanish VPN reviews to prevent fraudulent reviews and keep review quality high. We do not post reviews by company employees or direct competitors. Validated reviews require the user to submit a screenshot of the product containing their user ID, in order to verify a user is an actual user of the product. Hi there! Are you looking to implement a solution like IPVanish VPN?